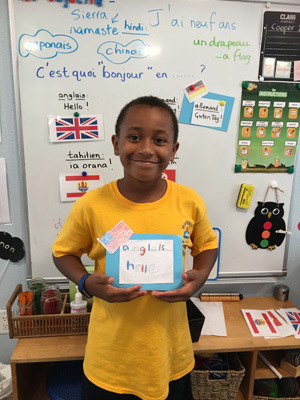 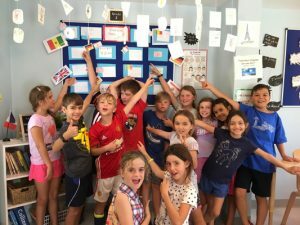 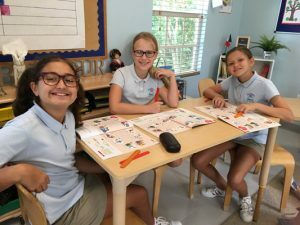 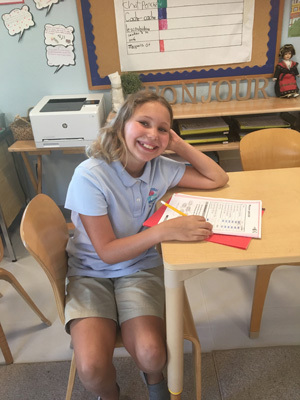 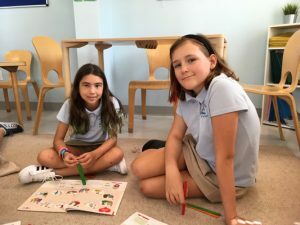 Our studies in French continue to come alive, as the children explore and enrich their understanding of the language through work that is connected and relevant to practical, everyday life. 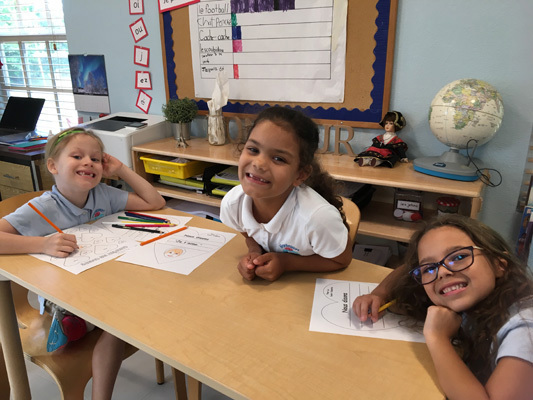 In Lower Elementary, we are making connections with Geography, Mathematics and even outdoor play and movement! 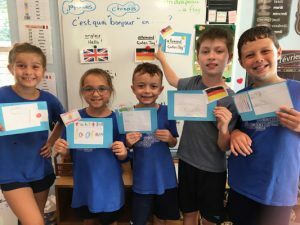 Grade One students have been refining their penmanship and strengthening their connections between written letters and sounds in French through copy writing, which is an important, fundamental skill in the language-learning process. 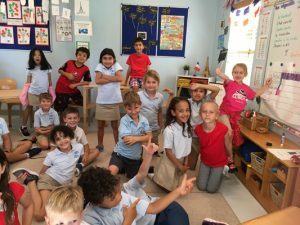 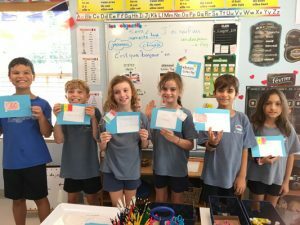 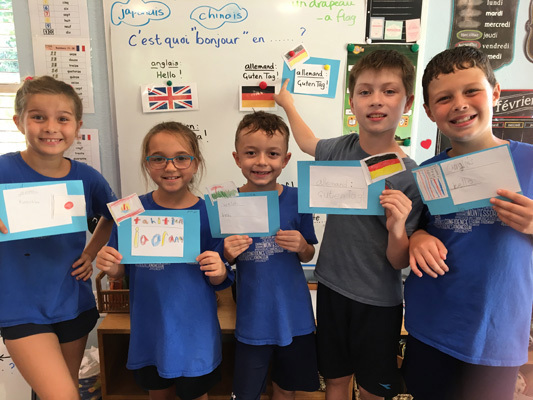 Grade Two students have been enjoying learning the names of playground games and saying which ones we prefer, and even completing a bar chart in French, while Grade Three students completed a fun project on saying ‘Bonjour’ in different languages from around the world. 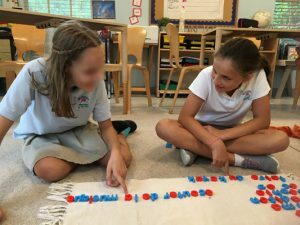 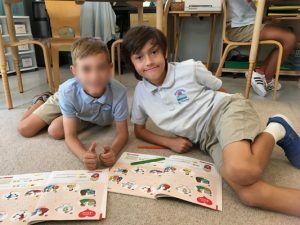 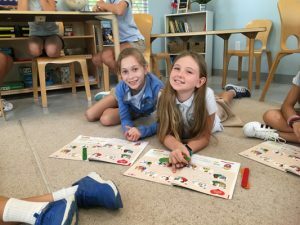 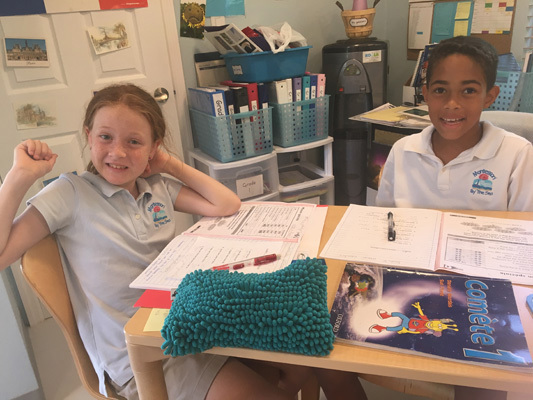 In Upper Elementary, we continue to broaden and deepen our knowledge of the French language through practical, meaningful dialogue with one another. 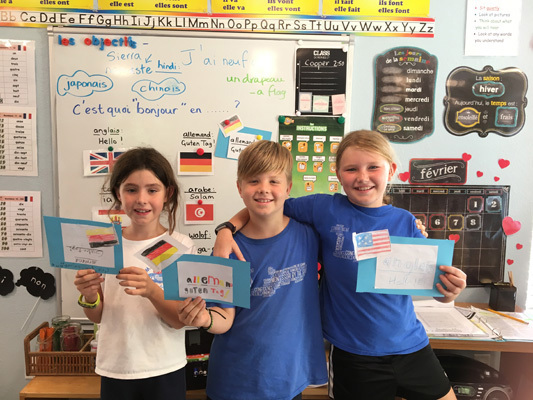 Grade Four students, for example, have learned how to ask each other questions in French in order to complete ‘I Can’ checklists. Grade Five students have actively engaged one another in conversations about sports that we like to do, where we live, and what our nationalities are. The eldest of the Upper Elementary students have built upon their existing proficiency by moving into the next step of their project on speaking and writing about themselves: building language about favourite hobbies. 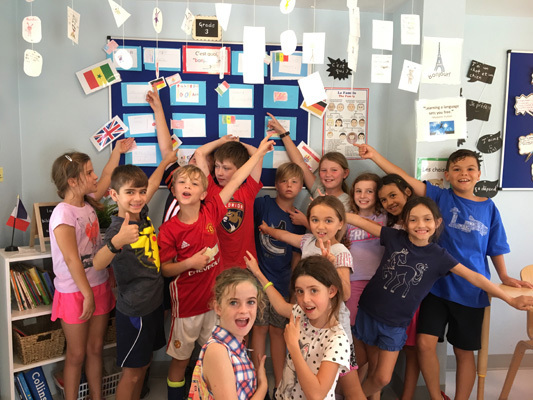 Such engaging, diverse and relevant experiences bring our study of the French language out of textbooks and into vibrant, real life.